It is with great pleasure that we can proudly announce that the GBA Website & Parbate Editor, Cpl Sagar Sherchan, has been awarded a Certificate of Commendation from the General Officer Commanding of Regional Command, Major General Richard Stanford MBE. On Cpl Sagar’s last day in office, Brigadier Matthew Lowe MBE, Director Personnel Operations Regional Command, presented the award on Maj Gen Stanford’s behalf. Cpl Sagar has performed superbly during his post as the Communications Non-Commissioned Officer (NCO) in Headquarters Brigade of Gurkhas (HQBG). He delivered outcomes far beyond that expected of one with his rank and experience. 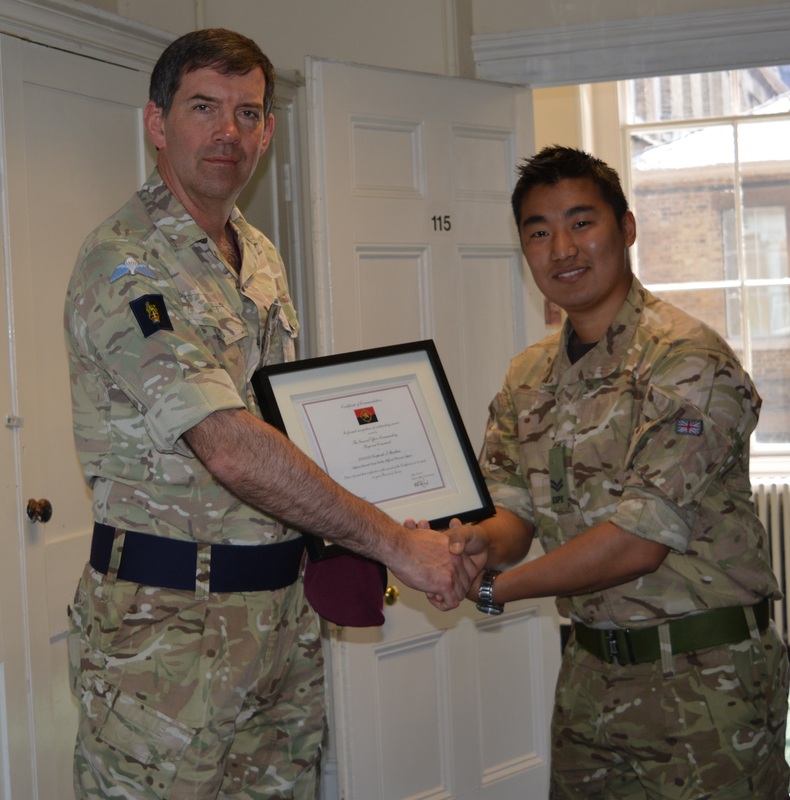 The Brigade of Gurkhas has developed and increased its worldwide image largely due to Cpl Sagar’s hard work. 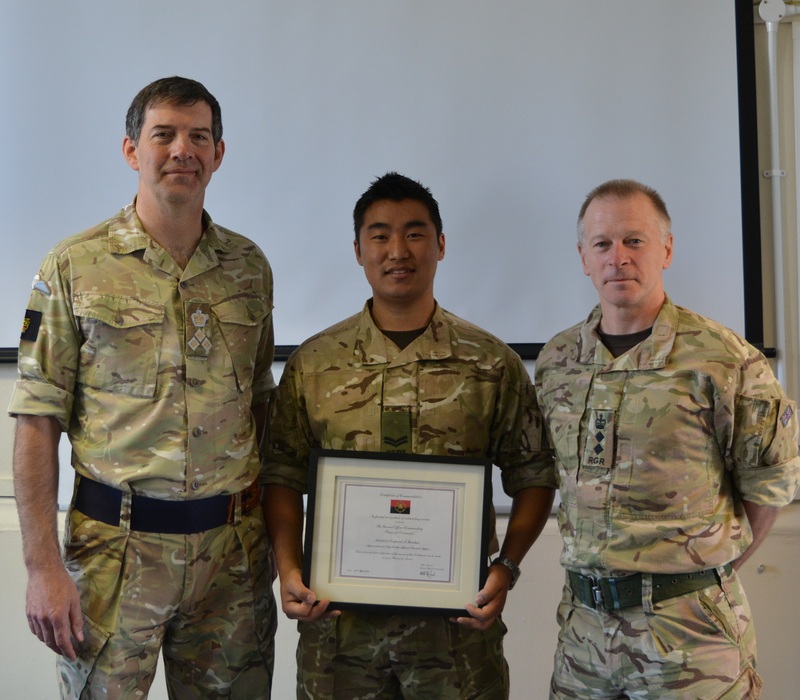 Brigadier Lowe and Colonel of the Brigade of Gurkhas, Colonel James Robinson, expressed their gratitude to Cpl Sagar’s work and achievements, highlighting in particular how the Parbate magazine is the envy of other Regiments across the Army. Cpl Sagar has done a marvellous job running the GBA website, producing and editing Parbate, as well as running and maintaining all GBA social media platforms. HQBG wishes Cpl Sagar and his family the very best of luck for the future and thanks him for his tremendous tenure.